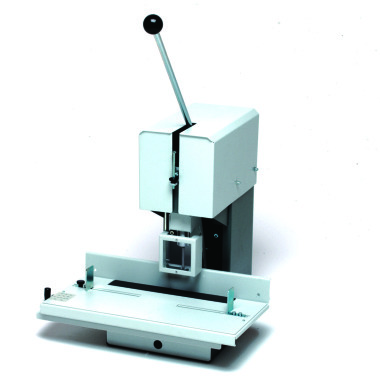 Citoborma 111 single head paper drill is our most popular bench top paper drilling machine. The single drilling head will drill a 50mm stack height with ease, and the sliding table with pre-programmed stops makes multi hole punching an easy operation. Uses standard drillbits.